Many people in Western nations paint a bleak picture regarding the life of women in Islam. Probably as a reaction to that some Muslims have read the Bible mainly to try to find fault about the Biblical position of women. To read any book in order to look for confirmation of one’s preconceived ideas is bound to end up in failure. In the past many false beliefs, even cults, have arisen out of such careless studies that neglect the big picture and concentrate on details only instead. Well meaning people have become victims of such dangerous undertakings. In this article we shall therefore first present the frame work in which numerous misinterpreted passages will later be explained. Realizing our own limitations we will then briefly look at what Islam has to say about women. The reader will realize that all the observations are made in form of questions. Any attempts to answer them by writing to the author are certainly more than welcome. Like all leaders he is ultimately responsible for the affairs of those he leads. That is why God later called Adam to account for what happened after they had disobeyed him and taken the forbidden fruit. (3:9-13). While the institution of marriage between husband and wife is a good answer to our need for relationship, it is not the only one. Jesus, the ideal man, was never married. Through his other centered life committed to community he showed that it is possible for a single person to be truly and fully human. The great deceiver blatantly denied the specific divine pronouncement that death would follow the taking of the forbidden fruit of knowledge of good and evil (2:17). Besides being a real fruit that was good for food it also had a spiritual significance. ‘Knowing good and evil’ is a Hebrew expression meaning, ‘having experiential knowledge of everything regardless of its moral or spiritual value.’ Knowledge is a good thing inherent in everyone. Adam and Eve knew already a lot. Otherwise God would not have let them face that test to prove their loyalty towards him. However, Satan tempted them into thinking they could become like God who alone knows everything. Having reached that state they would not have to fear punishment anymore. Adam and Eve erred in not regulating the measure of their knowledge by the will of God. They desired to know more than is right, more than He allowed. Therefore, their basic sin was unbelief. It lead to disobedience towards God and his word. The result was pride, the perception that one does not need the help of God or anybody else. Adam and Eve wanted to be in control of their own lives. Both failed equally. While Eve was deceived (1 Tim 2:14) Adam can not blame her for the misery. From James 1:14-15 we learn that, ‘each one is tempted, when by his own evil desire he is dragged away and enticed. Then, after desire has conceived, it gives birth to sin.’ Adam rebelled knowingly against his maker. All the time as the history changing drama unfolded, he stood silently right beside Eve (2:17). Because he was the leader, the one who is ultimately responsible, we read in Romans 5:12-14 that sin entered the world through him. The consequences of these punishments can still be seen in society up to this very day. In addition we too have an unquenchable thirst for knowledge, far beyond the boundaries allocated to us. To this end all means are justified, even the occult. ‘But is it fair,’ some may ask, ‘why do we have to suffer for their sins?’ On the contrary those critics do not mind being recipients of all the good gifts the first human beings got from God like thought, will and emotions. Surely God has every right also to pass on the consequences of their behaviour to us. After all, Adam was not only constituted by God to be the natural head of all his descendants but also their federal head and representative. When he fell, they fell with him. Similarly when leaders of states and families misuse their power all the followers suffer too. He dared to speak with a woman who was regarded to be an outcast (Joh 4:27). He taught them (Luk 10:39). He even broke the Sabbath in order to heal a woman (Luk 13: 10ff). Jesus worked closely together with them. (Luk 8:1-3). Single women like Mary Magdalene and Lazarus’ sisters, Mary and Martha, were among his companions. Singleness and childlessness will be the norm in heaven (Mat 22:30). That may well be the reason why these positions are no longer looked at as unfortunate but as symbols of hope in the New Testament. Through Jesus a woman’s dignity does not depend on whether she is married or on how many children she has. Both, Jesus and Paul spoke of singleness as a gift to be used to serve God and the Church. (1. Cor 7:34ff, Mat 19:10ff). In a truly Christian marriage the partners are asked to be willing to lay down their very lives for the sake of each other (Eph 5:21-33). From the verses above the main purpose of the law becomes clear: While the moral part of it (e.g. ten commandments) set standards forever, the ceremonial part (e.g. laws on sacrifice and washings) was given to the Israelites during a limited period of God’s history with mankind. The law set them apart from the idolatrous nations that surrounded them (Deut 18:9-13). The comments Jesus made on it proves that noone can keep it totally (Mat 5) The commands reflect God’s standard of perfect holiness which only he himself can meet. Because he is completely separated from all evil he can neither accept sin nor all it’s consequences, such as death, widowhood, divorce, sickness, disabilities, even the very life after the fall itself. (Lev 21:13-18) However, because of God’s love for his creation he has provided a way for us to be acceptable in his sight. Ultimately it is Jesus Christ and his death and resurrection. The principle that God himself rescues us from our sins through what he does and provides, not through our own good deeds is illustrated throughout the whole Bible. -God sent Jesus through whom the law was to be fulfilled doctrinally, by setting it forth fully and by giving the true sense and meaning of it. He fulfilled it practically, by yielding perfect obedience to all its commands, whereby he became ‘the end’, the fulfilling end of it. By faith in Jesus God makes us acceptable in his sight. Out of thankfulness we then do good deeds. The Bible clearly teaches that to get children is a great blessing (Gen 9:1, 30:23, Psa 127:1-3, 128:1-6) The rules described above therefore are a consequence of Adam and Eve’s rebellion and the subsequent punishment that affected them and their children (Gen 3:16-17). Those rules and all the other statements regarding clean and unclean things are a stern reminder of the seriousness of sin and eternal death. Throughout those passages, however, God presents a way out of the dilemma. By means of sacrifice forgiveness can be obtained from God. The Quran too acknowledges that animal sacrifice was commanded by God in the time of Moses (Surah 2, Al Baqarah, verse 67). Verses 6-8 of Leviticus 12 where the same sacrifice is prescribed in both cases, the birth of a female or a male child, make it clear that in God’s view both sexes are treated as being equally guilty. If he regarded women as more sinful than men, then surely they would have to bring more or at least different sacrifices. The reason why the period of the mother’s ritual impurity is twice as long if a girl is born than in the case of a boy is not explicitly stated. In the light of the above it may well be because the women’s involvement in continuing the sinful human race is more direct than that of the man. In opposite to the man, she bears the child, gives birth to it and looks after it physically. This passage describes what to do if a man accuses his wife of unchastity. Since marriage was and still is one of the pillars on which a healthy society rests, a detailed process is here given to protect it. The law given is in harmony with the fact that Israel at that time was not ruled by a king but by God directly. As such he had the final verdict in cases were testimony stood against testimony. Compared with the dangerous tests and their unpredictable results prescribed for this situation by pagan idols, God’s law meant a huge improvement and the certainty of a just judgement. (See ‘Egypt and the books of Moses’ by Hengstenberg, pages 190ff.) This test applied to the wife only because at that stage of Israel’s history God did not prohibit men from having more than one wife or to take concubines to his own wife. Therefore he only violated marriage when he committed adultery with another man’s wife. The betrayed husband would then proceed according to the passage under discussion. This would lead in most cases to the conviction and the subsequent death penalty for the adulterer as described in Leviticus 20:10. Firstly, the word for ‘punish him’ in verse 18 is also used in chapter 21, verse 18. There it speaks about bodily chastisement. Consequently, and also in the light of chapter 25, verse 3 and the Jewish Talmud, he gets forty lashes except one. Secondly, the culprit had to pay a hundred Shekels of silver, twice as much as the average bride price according to verse 29 of the same chapter. That was a heavy fine in terms of the economy existing in ancient Israel. (Hos 3:2, Jer 32:9) A husband would therefore think twice before falsely accusing his wife. Because the marriage relationship is absolutely sacred and irrevocable to the Lord, he hates divorce (Gen 2:24, Deut 24:4, Isa 54:5, Mal 2:13-16, divorce is only tolerated because of the hardness of human hearts, Mar 10:1-12). In the light of this teaching the command in verse 19 for the husband not to divorce the wife he mistreated becomes understandable. Better to do God’s will and have peace with him at the cost of being looked down upon by society than the other way round. Deuteronomy 22, verses 28-29 have to be read in connection with the parallel passage found in Exodus 22, verses 15-16 where the choice of marriage is explicitly given. The difference in inheritance is due to social circumstances. At the time of the Old Testament men were responsible for the maintenance of their wives their families and any needy relatives. Daughters could get their deceased father’s possessions only if he had no sons. Females therefore had no need of inheritance. This fact is also reflected in Surah 4:11 which says that women only get half the inheritance of males. God’s original will was for marriage to consist of one man and one wife (Gen 2:18, 24). Jesus supported only the monogamous marriage (Mat 19:4-6). While plural marriages in the Old Testament are not directly condemned on numerous occasions it describes their evil effects (Gen 35:22, 37:18-28, 2 Sam 13:1-29, 15:1ff, 1 Kin 11:1-12). The Quran allows polygamy (Surah 4:3) but under the strict condition of treating the wives equally and justly. However, even Muhammad himself was unable to prevent jealousy in his own household. According to a Hadith in Sahih Al-Bukhari Vol. 7, p. 89-90, see also pages 115-116, a dispute arose that was so strong that people thought he had divorced all his wives. Verse 11-15: Dr. Zodhiates, a recognized authority on the Greek New Testament gives the following comment: ‘The relationship expressed in this passage is not that of women being inferior to men, but of a wife in her proper relationship to her husband. Observe I Timothy 2:11. It does not say women but a woman, and better still, a wife. The word in Greek is ‘gune’, which indicates either a woman generically speaking or a wife, depending on the context. In this instance, since it stands in apposition to the word ‘andros’ (the genitive singular of ‘aner’ here meaning only ‘husband’ and not ‘man’ generically), it must be translated as ‘a wife.’ It is because of the mistranslating of these passages that the Christian world has had so much difficulty in understanding the proper position of a woman in the Christian Church. I Timothy 2:11 should be translated ‘Let the wife learn (the indirect imperative of the present tense which means continuously to learn at any time and at all times) in tranquillity in her positioning under.’ The word translated ‘quietly’ is the noun ‘hesuchia.’ It occurs in Acts 22:2; II Thessalonians 3.12 and I Timothy 2:11-12. The adjective of the same word is ‘hesuchios,’ and it is used in I Timothy 2:2 and is translated with the word ‘peaceable’, and in I Peter 3:4, it is translated with the word ‘quiet.’ In both instances it means ‘tranquil not disturbed.’ The verb is ‘hesuchazo’ and in Luke 14:4 it is translated as ‘kept silent.’ In Luke 23:56 it is translated as ‘rested’. In Acts 11:18 it is translated as ‘quieted down.’ In Acts 21:14 it is translated as ‘fell silent.’ In I Thessalonians 4:11 it is translated as ‘to lead a quiet life.’ The correct meaning, therefore, of the word ‘hesuchia’ in this text is not silence, but it is ‘tranquility, not in a disturbing way.’ Another important word in I Timothy 2:11 is the word ‘hupotage,’ which is translated as ‘submissiveness.’ This noun is made up of the preposition ‘hupo,’ ‘under,’ and the verb ‘tasso’ which means ‘to place in proper order.’ There are many derivatives of this verb. What did Paul want to teach in I Tim. 2:11? It was that a wife should display a tranquil spirit in her attempt to learn. We must bear in mind here that during that period usually only men had the privilege of education. If the word ‘hesuchia’ meant complete silence, how could she ever learn or satisfy her hunger for knowledge if she did not have the opportunity to ask questions.? Paul encouraged a wife to ask questions and to learn, but always to realize that her questions should not be of a nature which would disturb the peace that existed between her and her husband or which in any way would embarrass her husband. She should bear in mind the proper positioning of a wife in relationship to her husband, who is her head, and consequently responsible to provide for and protect her. ‘To be in subjection’ means to recognize one’s position in relationship to one’s husband. The two who constitute one body have one head under Christ, and that is the husband. Verse 12 is again poorly translated in the K.J.V. It should not be ‘But I suffer not a woman to teach,’ but ‘I suffer not a wife…’ As Paul continues the discussion, the word ‘gune’ is here used in contrast to ‘aner’, ‘husband,’ and not ‘man’ as the A.V. has it. ‘Gune’ in this verse must also be translated as ‘a wife’ as in v.11. Paul says, ‘I do not permit a wife to teach.’ The word for ‘teach’ in Greek is the infinitive ‘didaskein’ in the present tense which means to teach continuously. The situation presented is that of the common presence of a wife and husband in the home or the assembly or anywhere else. Paul says, ‘I do not want a wife to constantly teach.’ If she did, she would undermine her husband’s position, giving the impression that she is the head of her husband, which is contrary to God’s ordained order between husband and wife. A wife should place limitations on her own liberty in Christ in both her dress, her adornment and her speech. Paul does not want women to be drab or mute, but to be careful lest they go beyond the bounds of accepted propriety. A wife should be characterized by ‘sophrosune’, ‘sober mindedness’, and also ‘aido,’ ‘modesty’. so that her husband may not be embarrassed. In view of vv. 9,10 we are told that she should not dress in such a way as to be the center of attraction, but rather should express her goodness by her good works. The word translated ‘exercise authority’ is the Greek word ‘authentein’ or ‘authenteo,’ and this is the only place in the N.T. that it occurs. Interestingly enough, in Classical Greek an ‘authentes’ was an autocrat, a person who ruled even to the point of committing murder. In one instance, it referred to a murder of one of the same family. The noun ‘authentia’ means absolute sway or authority. In other words, a wife in her private or public life should not do anything to kill the position that her husband has been given by God. A wife should never be a usurper of the role of a husband or a father. In v.13 Paul explains why, ‘For it was Adam who was first created, and then Eve.’ It is not because the husband is better or more intelligent or more worthy. It is simply the order originally ordained by God, and as such it must be respected. Two personalities constituting one body, one flesh, can only have one head. This is intrinsic in God’s creation…. Furthermore, the phrase ‘And Adam was not the one deceived; it was the woman who was deceived and became a sinner,’ means that Adam sinned not by being deceived but by willingly disobeying God. The phrase, ‘But women will be saved through childbearing – if they continue in faith, love and holiness with propriety,’ means they will be saved in doing this not by doing it. What was revealed in 1 Corinthians therefore, must have been influenced by this custom and the involvement of women in it. Women who speak incoherently and lead men astray as in Delphi should be prevented from doing so in the churches. The fact that the word for ‘talking’ in verse 34 is ‘laleo’ further strengthens the argument. It refers to the mere utterance of sounds without the speaker necessarily knowing what he is saying or others understanding. The Greek word for saying something that is a product of one’s thoughts, ‘lego’, deliberately is not used here. Moreover, the phrase, ‘keep quiet’ in verse 34 is also used for men in verse 28, when they speak in an unknown language without an interpreter. (See also verse 30) The passage is not about women versus men but about order versus confusion according to verse 40. Lastly, in accordance with the context, verse 35 mentions husbands, the word ‘gunaikes’ erroneously translated as ‘women’ should be rendered ‘wives’. Whenever the Bible mentions submissiveness on the part of a woman it always refers to a wife towards her own husband. It can not be applied to the relationship between men and women in general. Greeks believed in New Testament days that by not covering their heads, men declared independence in contrast to slaves who had to cover themselves. Women covered themselves to symbolize the protectiveness they enjoyed from their husbands. Verses 8-12 refer to God’s order in creation and show that there is nothing wrong with the Greek tradition under question as long as men remember that Christ is their head (see verse 3), even though they do pray without a covering. Verse 11 confirms the teaching of Galatians 3:28 and 1 Peter 3:7 where women are declared to be equal in worth yet different as to how they fulfill their purpose. The phrase at the end of verse 10, ‘because of the angels’, signifies that whatever one does on earth one must make sure it also has the approval of heaven represented here by angels. Furthermore, female acceptance of male leadership within the family will be shown in culturally appropriate ways such as the British marriage vows and by adhering to the husbands advice provided it is expressing biblical truth. Compared with the appalling status women in Saudi Arabia had in pre-Islamic times the Quran has brought considerable improvement for them. However, in the light of the following verses (translated by Marmaduke Pickthall and approved by the ministry of religious affairs of the government of Pakistan), the question that begs the answer is: Are women really declared to be of the same value as men? According to Surah 4 (An-Nisa), verse 34, are women treated like children! According to Surah 4 (An-Nisa),verse 15, the punishment in case of lewdness is confinement to the house until death! Some commentators believe that the punishment later was altered to 100 lashes. But if women are created physically weaker than men why do they have to endure the same punishment as they? According to Surah 4 (An-Nisa), verse 176, why do men inherit twice as much as women? According to Surah 2 (Al-Baqarah), verse 282, why do two female-witnesses count as much as one male? According to Surah 2 (Al-Baqarah), verse 221, and Surah 5 (Al-Ma’idah), vers 5, why can women not marry non-Muslims, while men are allowed to? According to Surah 2 (Al-Baqarah),verse 223, wives are as a field unto the husbands; why can they approach them when and how they will? The Quran does not say anything about women who for some reason can not or choose not to get married. Does this status virtually not exist? Firstly, a man might not divorce his wife unless he found some bad quality in her. (Verse 1) It was not sufficient to say that he did not like her, or that he liked another better, but he must show cause for his dislike; something that made her disagreeable and unpleasant to him, though it might not make her so to another. This bad quality must mean something less than adultery because for that a marriage partner had to die according to the law. People disagree as to what it is exactly. Whatever is meant by it, doubtless it was something considerable; People, who think divorce is allowed for every reason, as was the case in Egypt, are therefore severely mistaken. Secondly, it must be done, not by word of mouth, for that might be spoken hastily, but by writing, and that put in due form, and solemnly declared, before witnesses, to be his own act and deed. This needed time, and left room for consideration, that it might not be done in a moment of anger. Thirdly, the husband must give it into the hand of his wife, and send her away, which some think forced him to make provision for her, that might help to marry her again. Fourthly, that being divorced it was lawful for her to marry another husband (Verse 2). The divorce had dissolved the bond of marriage as effectually as death could dissolve it; so that she was as free to marry again as if her first husband had been naturally dead. So is there hope for any of us? Yes, there is! Jesus came to die for our sins. If we believe in him we can start again a new life. His unconditional love indeed means that he does not remember our past. Neither must we! However, out of thankfulness we now do what pleases him. If we don’t and just carry on with our old lives (see Romans, chapter 6) it means we have not truly understood his love. Then our faith becomes meaningless and we deceive ourselves. God’s word can not be changed. If it goes against the feelings of our hearts then they need to be changed. 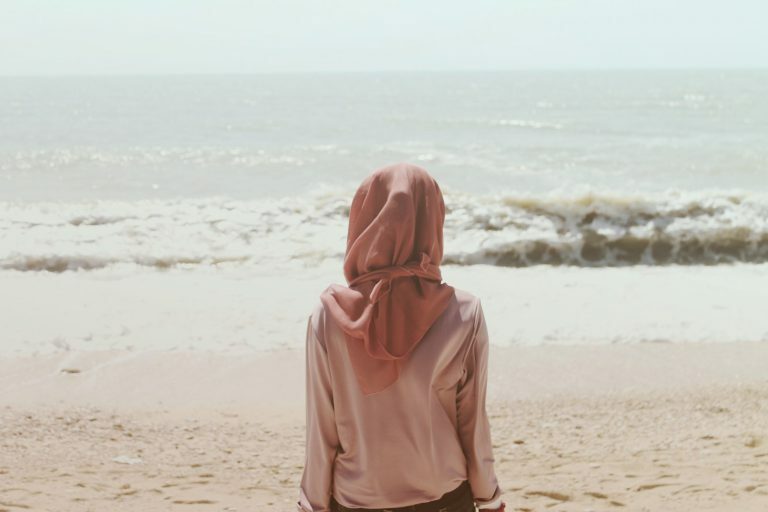 How does one have to understand the following respectable Muslim traditions regarding women? This study raised numerous questions regarding the status of women in Islam which have yet to be answered satisfactorily. On the other hand, the contextualised approach has made it clear that womanhood according to the Bible is highly respected and valued. Numerous commandments have been shown to make a lot of sense within the framework of the Biblical world view. However, a word of caution has to be added regarding rules and regulations. No doubt laws are needed to keep a society in order. Compared with thousands found in the federal and state codes of the USA there are only over six hundred in the Old Testament. Though limited in wording they are very comprehensive in spirit. Yet no one has ever written all comprehensive commands and even if they had, no one would be able to keep all of them. Only a pharisaic or Islamic fundamentalist approach, to obey the letter rather than the spirit of the law, has a worldly guarantee of success (Matthew 23:223). Judges and juries will always be needed to determine whether a violation has taken place. Fundamental human needs will never be met by regulations only but by relationships. That is exactly what Christianity offers, a unique relationship between God and men and consequently between men and men based on the reconciling work of Jesus Christ. It enables guaranteed forgiveness and the power to love by living less selfish lives. Only relationships based on what God himself offers in Christ will eventually glorify him alone!